I made this using purple 8 ply wool and a 4 mm hook. It is filet crochet. 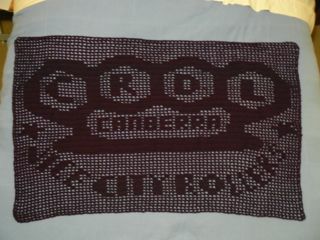 The blanket is 130 cm by 80 cm and used 5 and a half balls of wool that are 174 m each. It weighs a bit over half a kilo.